The Starfleet Reference Library: Stellar Cartography collects together ten original, never-before-seen large-format maps of the Star Trek universe. Pulled from the cartography archives of Starfleet Academy, these beautifully reproduced maps provide a rare opportunity to view the expanse of Federation space (and beyond) through the multiple lenses of the Galaxy's key players. The maps include an ancient Vulcan map, a Klingon Empire map from the pre-Organian Peace Treaty era (in the native Klingon), an official Romulan government map of the Empire, a native Cardassian Union map from the Bajor occupation, along with Federation maps from the modern era. 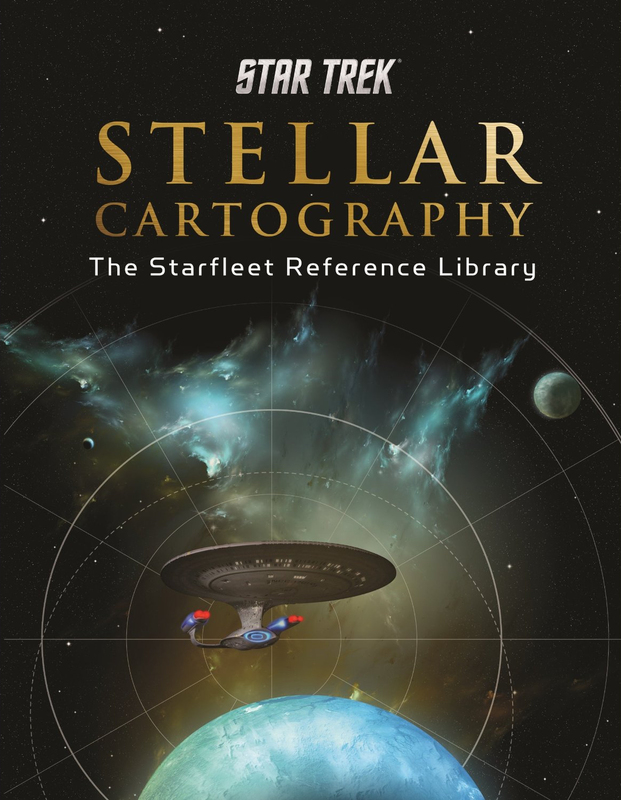 Housed in a handsome clamshell case and paired with a fully-illustrated reference book providing detailed information on planets, systems, and topography, this exclusive collection showcases the Star Trek universe like never before. We took the bedrock work of Geof Mandel in the 2002 Star Trek Star Maps as our touchstone—indeed, we got Geof back for a massive "historical" UFP map in the set of 10—and then got artists Ali Ries and Ian Fullwood to help take it from there for the various vibes needed. Together, they sweated a lot of our details—and that cover you see here does not begin to reveal the depth of what we get into. You get the set of ten 2x3 maps plus a hardback guidebook I authored—all in the guise of a curated collection from the analog and digital archives of Memory Alpha. In those pages, we update for the Prime universe since 2002 (real-time) as of 2386 (canon time), we tie together a lot of threads like that whole confusing "Alpha Quadrant powers" thing, and we even deal with the onetime "Delphic Expanse" of Enterprise and, in a special update, JJ's Romulan subspace supernova. What I may be most singly proud of, though, is for the first time finding a way to choreograph the known elements of the Dominion War onto that grid in a way that makes sense—including all that "threatened Federation homeworlds" business—and not only illustrate some major canon battles but make sense of those onscreen DS9 wall maps, too. Sounds like fun to me. Star Charts is one of my favourite Trek books, but having the maps loose should make them a bit a easier to browse, and get a better sense of how everything is laid out. Giving us maps from different historical periods and cultural perspectives is also a really nice idea, allowing us to explore the Star Trek galaxy through time and space.